Rewilding seeks to replant forests, reintroduce missing species and, most importantly, to allow the land to rewild itself, free from human intervention. 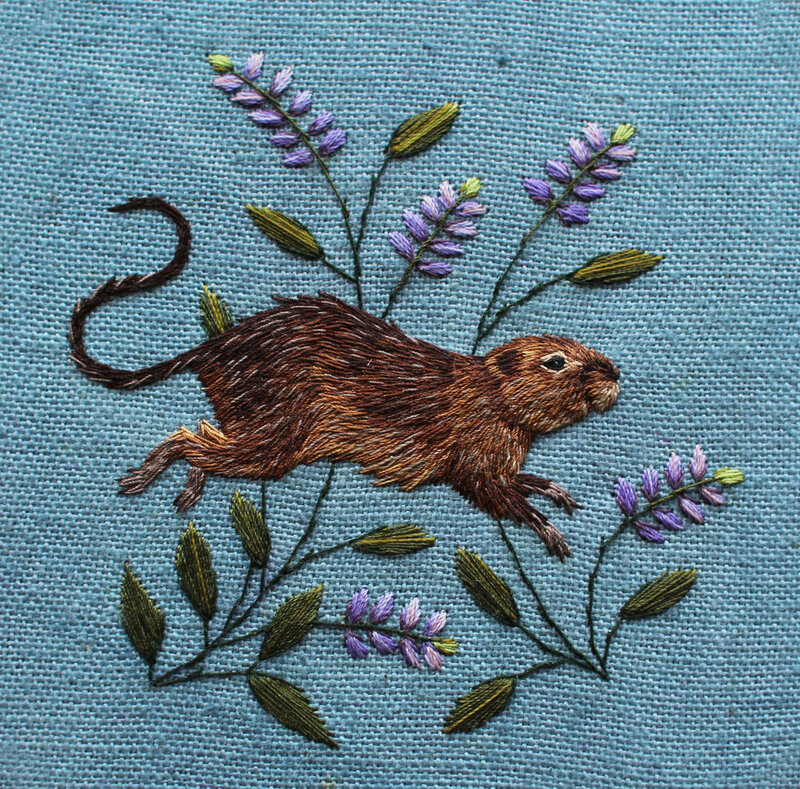 In this collection I have been exploring these ideas through the medium of embroidery, touching on interconnectedness and the need for biodiversity. You can purchase these originals on our online shop here!